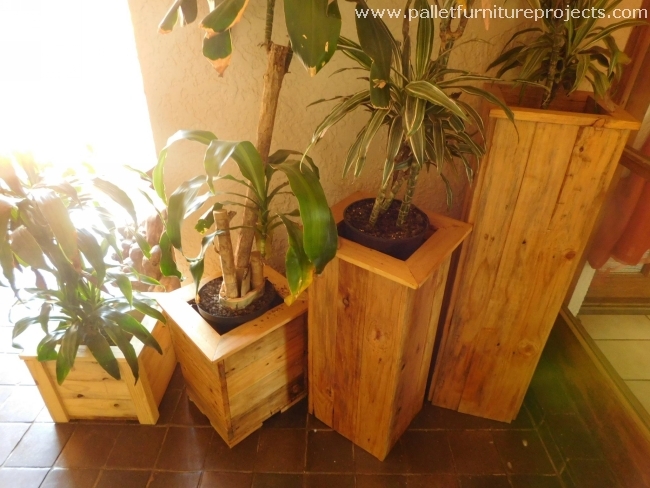 Many of the fellow subscribers usually ask us that where do we get from so many pallet wood recycling ideas and we always tell them that this is just the love and dedication of ours towards all of you that drives us and keep us motivated. 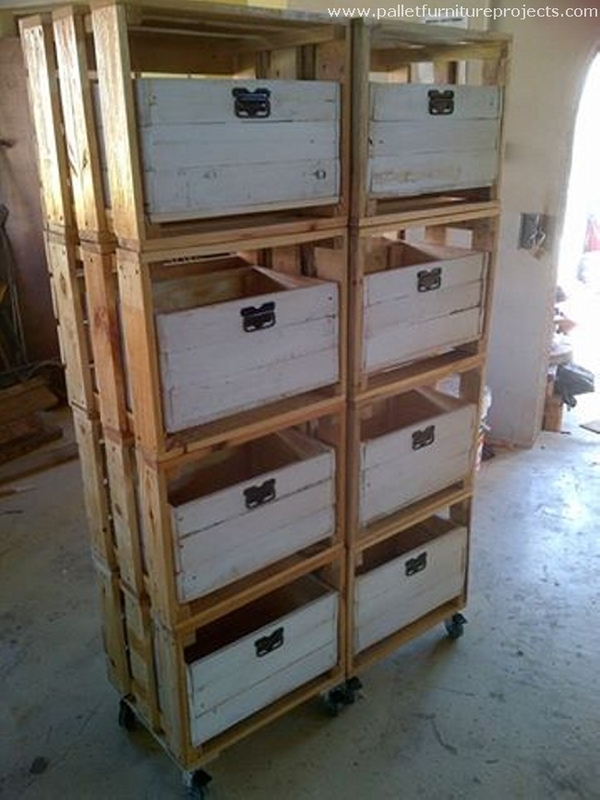 We have gone bit too far in this pursuance of wooden pallet recycling ideas. The state of affairs is so damn crucial that I keep thinking about various pallet wood creations while sitting in the bathroom, pardon me if I sound gross but that is a fact. 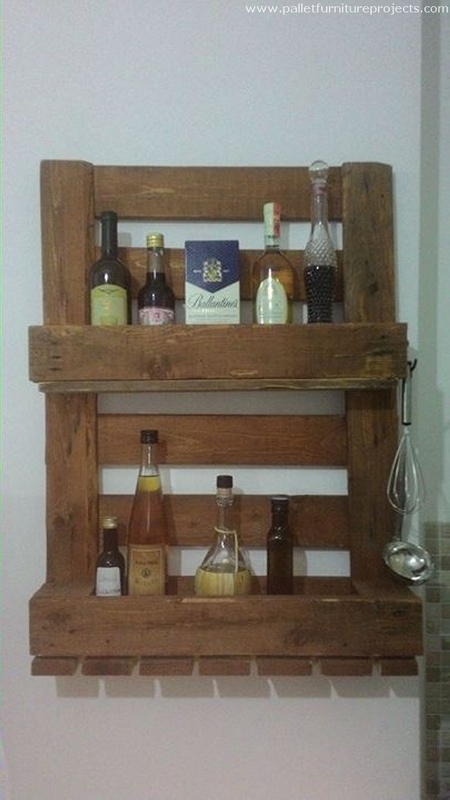 Here is some more food for your thought, some crazy wooden pallet recycling ideas. 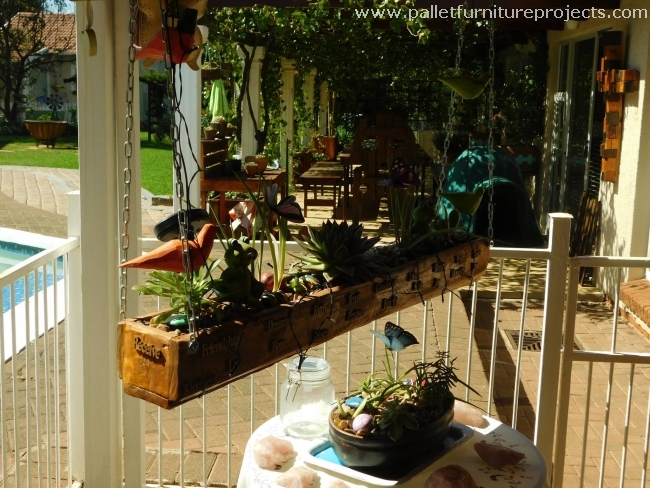 This is a pallet wood repurposed vertical garden with the most modern design and specifications like it has got a tag on the front of each plant or shrub. 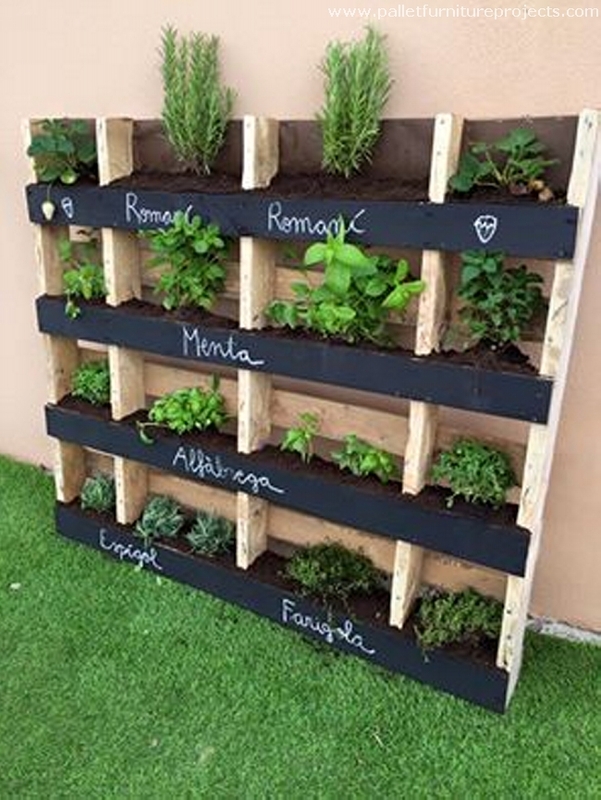 This makes it easier for the others to realize that what exactly is planted inside the pallet wood vertical garden. 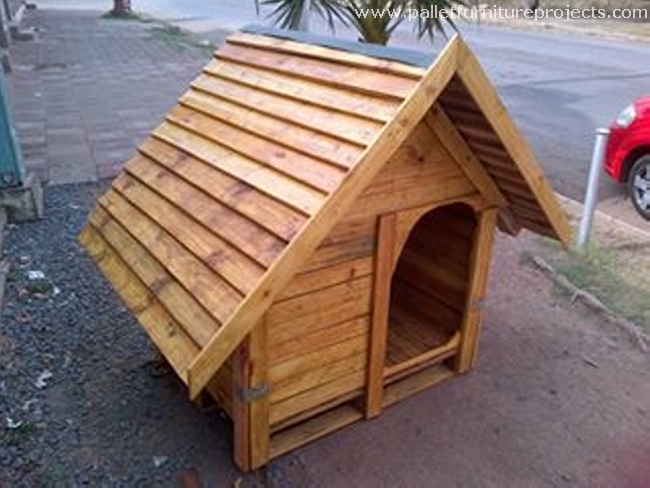 Isn’t this too cute to be a pet house? 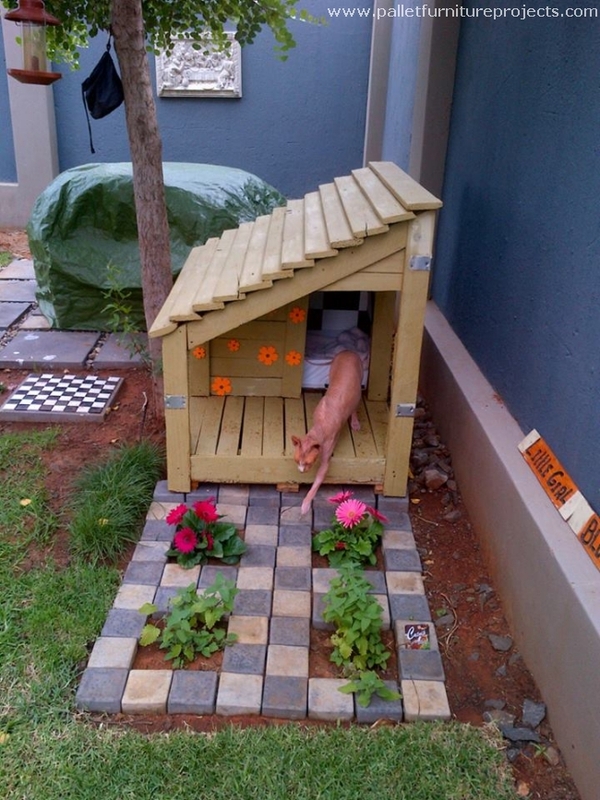 But don’t feel sorry, this is actually a wooden pallet repurposed pet house that we made with tremendous planning and sheer work on modernized design for a pet house. This is not mere a shelter for your pet, but a heaven on earth. 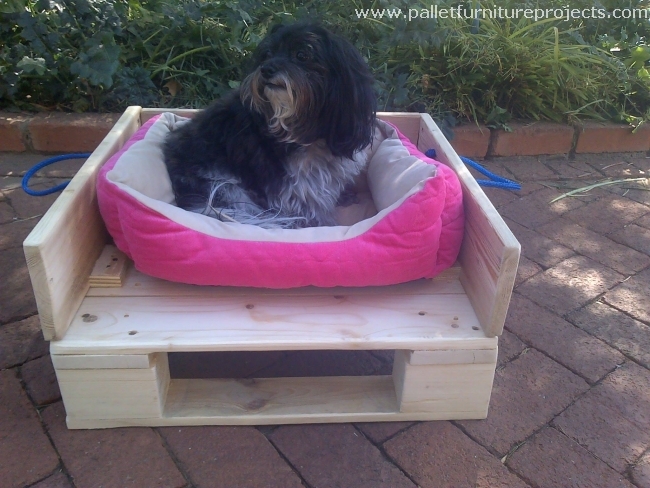 And this is a straight and simple wood pallet dog bed just covered from three sides with pallet blockades so that the pet doesn’t fall down, further we have equipped it with an ultra luxurious fleece sheet to give all possible luxury to your beloved pet. Planning to make a house for your cat that you love the most? Then do something extra ordinary for her to show that how much you are obsessed with her love. 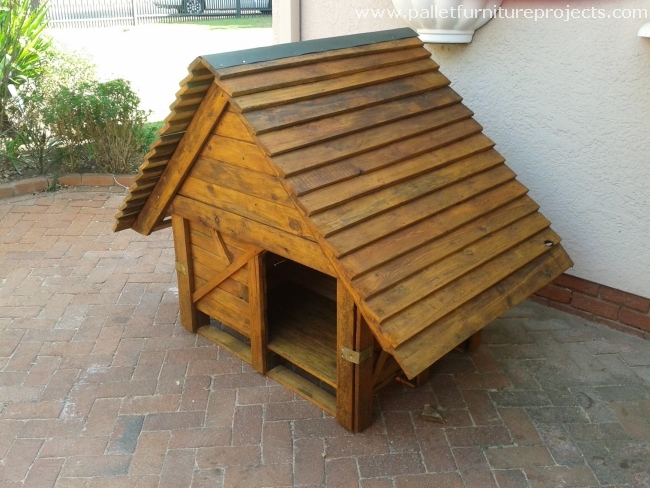 Recycle this pallet wood upcycled cat house that is parallel to the beauty of this breed. 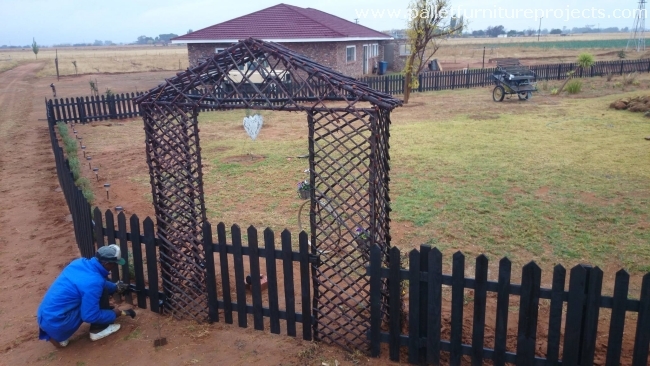 Making a pallet wood fence has always been a frequent project that is always done by our fellow subscribers because they can make us count the benefits of this repurposed pallet wood fence. 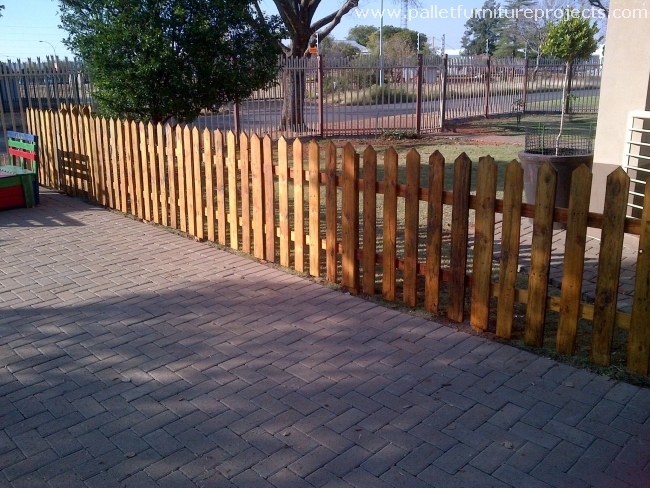 They say this is economical, this durable, it looks attractive, I think these are more than enough reasons to count on. 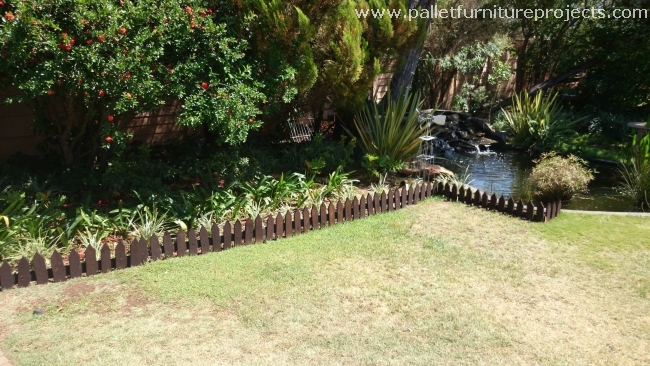 Making a whole wall with the pallet wood or may be wall cladding would be a great idea inside your green landscape as it would even escalate the beauty of your garden, this would be a decorative and artistic addition, and would also lure the bugs that are good for the pollination. 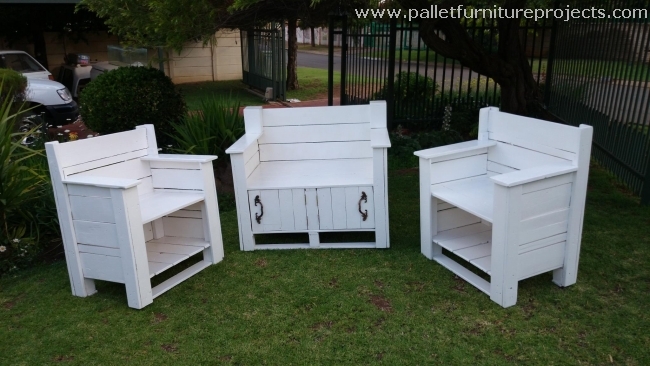 Made by some truly cunning pallet wood crafter, these are smart storage hacks in the shape of wooden pallet recycled single couches that would look pretty amazing while lying in your patio or garden. Place a number of accessories beneath the sitting area. This sort of combined benches are I believe some perfect remedy for the love birds while sitting outside, when they need some time in the isolation and want to enjoy their loneliness, this would allow them complete secrecy away from the rest of the people inside the premises. This hallway table is actually designed in such a manner that it could be used as a display hub, and also it provide us ample space where we can place plenty of our accessories that couldn’t find their place in some room furniture items nor on the shelves and racks. Though this is a mere potting table, but looking at its wide dimensions we realize that this can be used for various things. 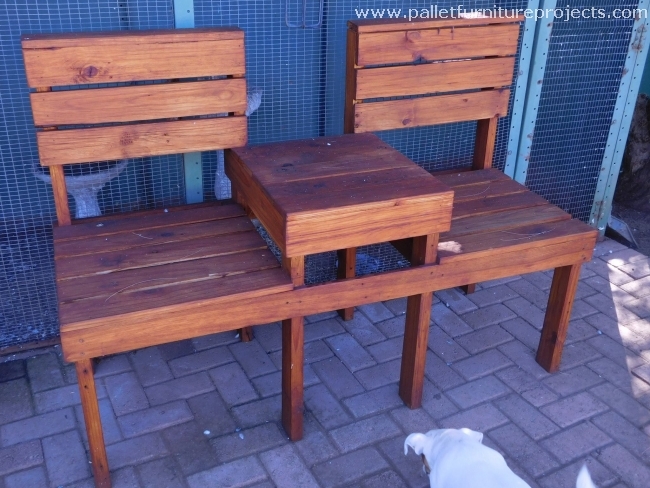 Sticking to the main object that it was made for, it has got a spacious top along with additional storage space beneath, it makes a perfect wooden shipping pallet repurposed potting table. 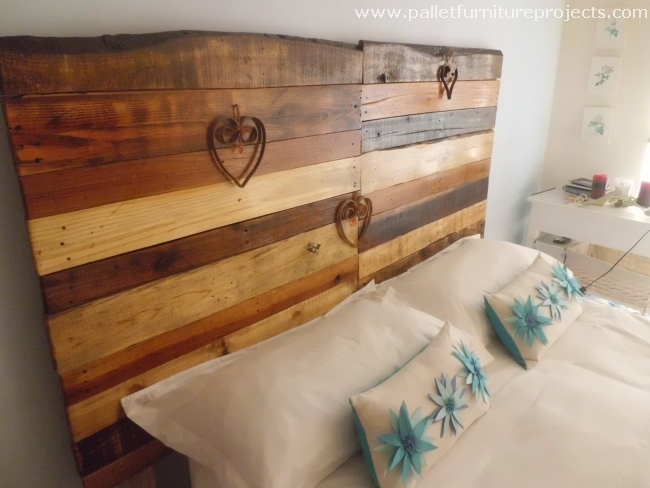 This is a unique pallet wood headboard, it has got some features that are usually not observed in the common wooden pallet creations like the shades of the pallet wood planks. Despite of lacking symmetry they still make a perfect combination combined together. This kind of wooden mirror frames have always been in the limelight. People with higher tastes of art and aesthetics always prefer to have such beautiful products inside their house. 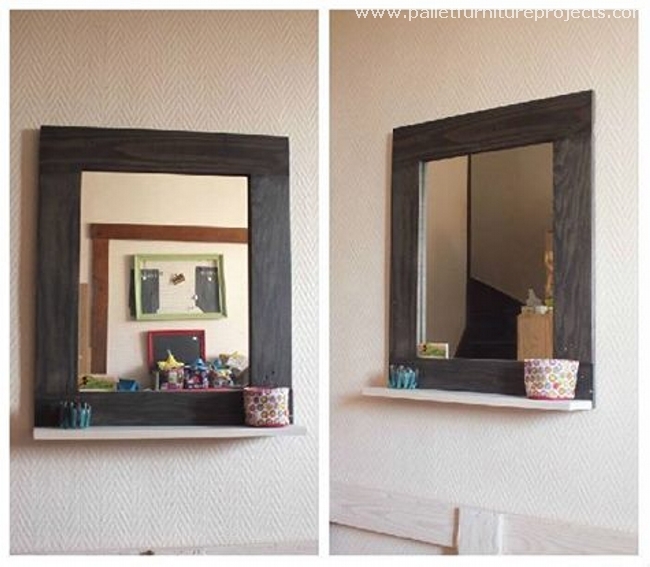 Stained with a darker shade this even multiplies the beauty of the wooden pallet mirror frame. 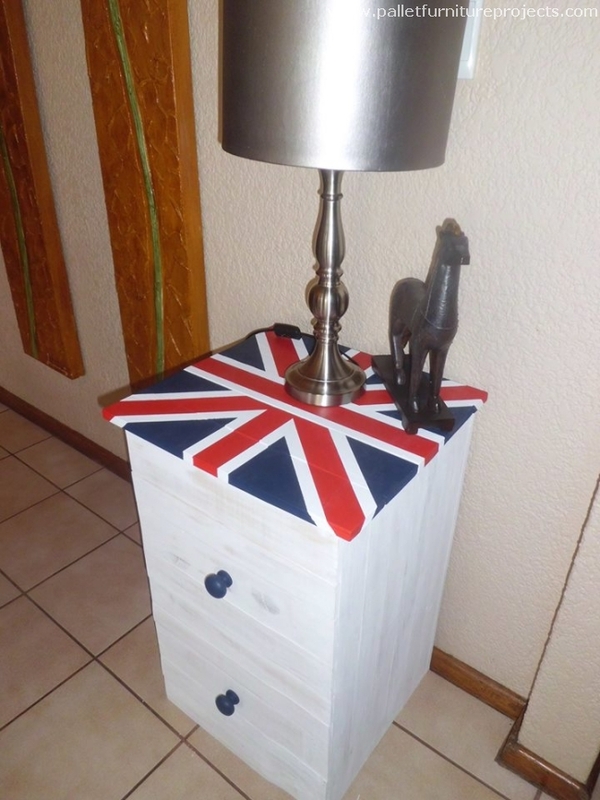 Recycle one for your room and it would certainly make an impact. 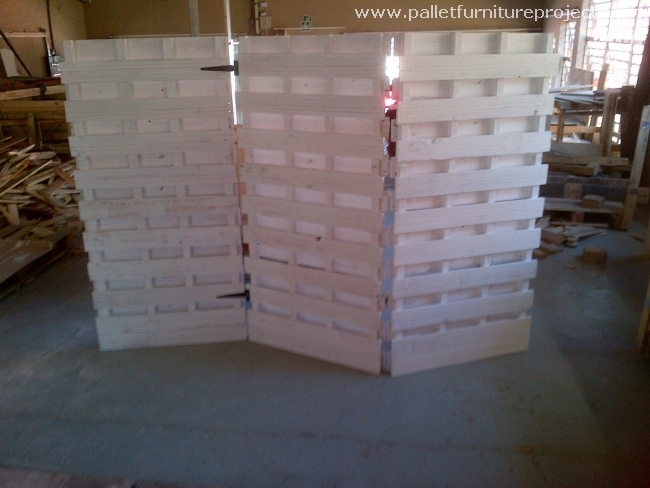 This pallet wood room divider is something new in the range, or the pallet wood creations that we have designed so far. This is ofcourse a very useful thing, this divider can be used in hall room or in front of your shower area to isolate. Make some comment on this splendid wooden lighting installation. 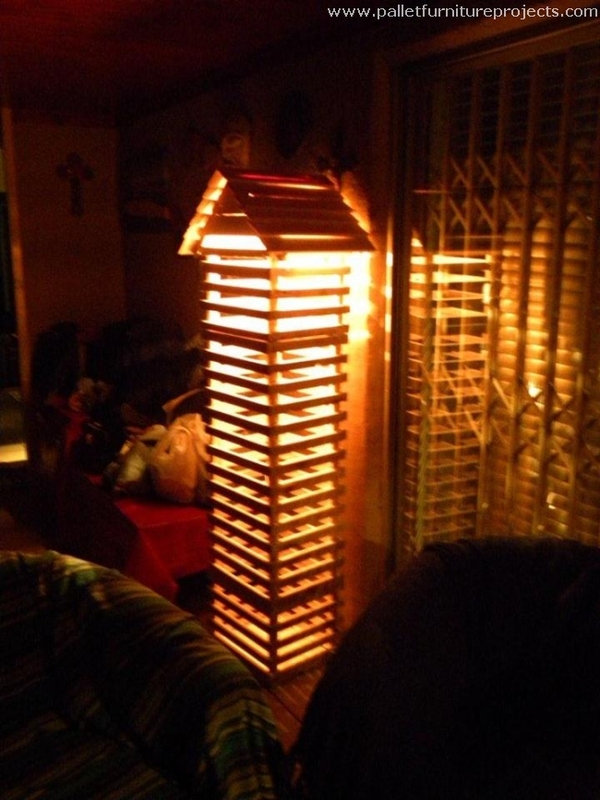 This is done by some great pallet wood crafter, its curved or hut shaped top has even added more charm in the pallet wood lighting lamp or whatever you like to call it. 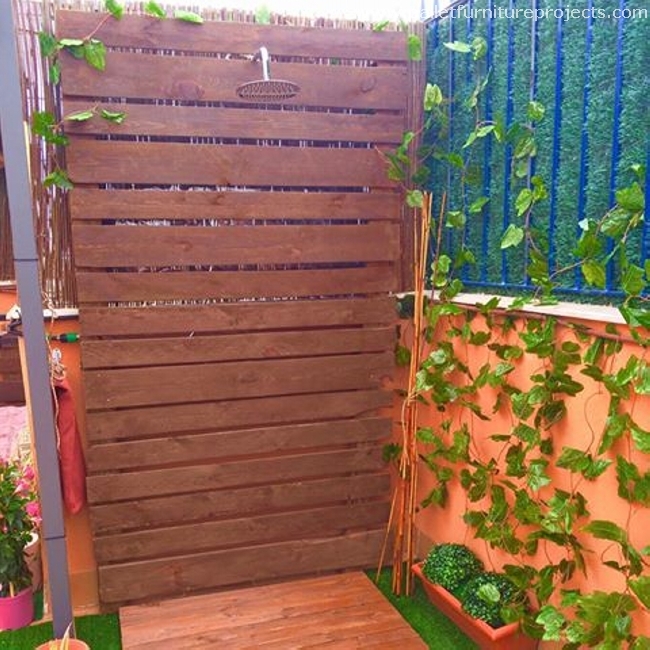 Outdoor showers are pretty famous when the summer season arrives. They are also made beside the swimming pool to take shower before and after the swimming session. This is a whole support and backdrop covering the entire isolated area for shower. This had got two advantages, one is obviously the shower itself, and the other is an artistic touch that would make the area look pretty. 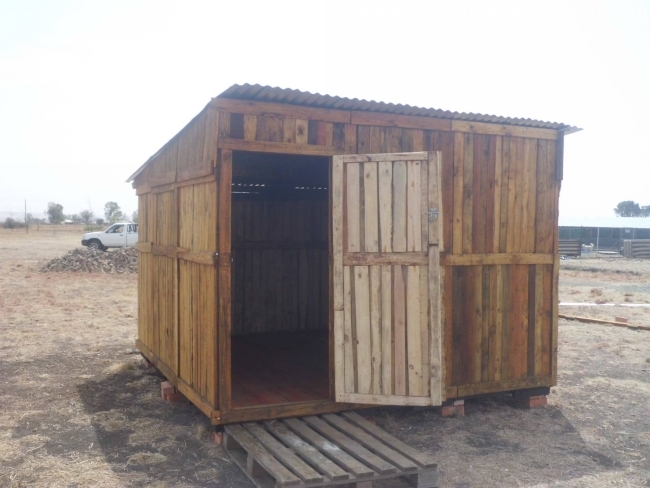 This pallet wood upcycled house would be your best companion in the hours of loneliness. Just spare some time purely for you from the hectic routine that you follow, spend some quality time with yourself doing the things that you actually want to do while sitting in this wooden shelter. 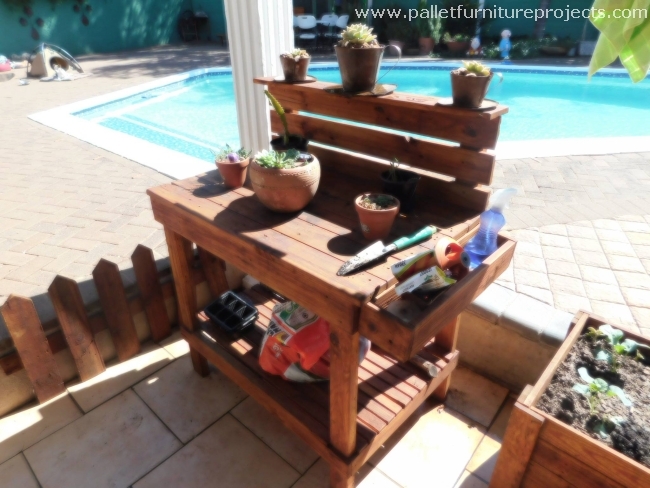 And this gigantic tall wood pallet repurposed cabinet made with the plain pallet planks and wooden crates is a giant that can be used to place larger amounts of accessories. Infact this would just do great when used commercially, categorize the different products in each drawer and display for the customers. 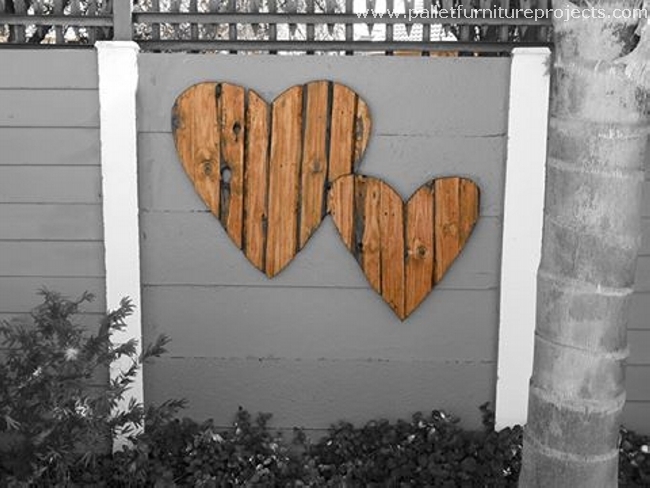 Making such beautiful art projects with pallet wood always gives us pleasure. 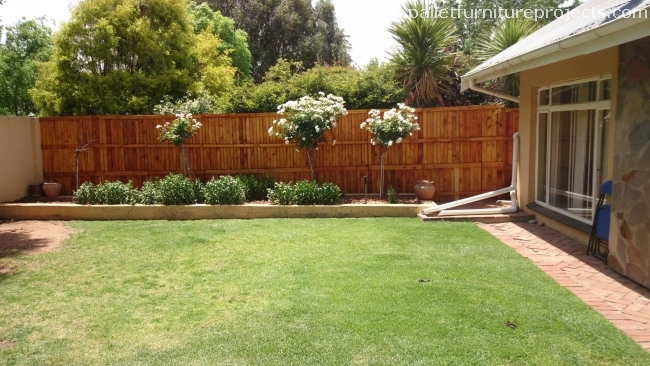 This is just like making our home beautiful with our efforts that we put in recycling process. They could be your signature showing your aesthetic sense.